Prior to the Andean War pistols were not a general issue weapon for units of the Ejercito, officers being required to purchase their own side arms. With the establishment of an arsenal at Lima in 1936 the Belgian-designed FN Browning GP-35 automatic pistol, chambered for the 9x19mm Parabellum cartridge, was adopted as the standard pistol of the Ejército. Local production is continuing. Peru adopted the 7.65x53mm Mauser cartridge in 1891 when it purchased from the Deutsche Waffen und Munitionsfabrik its first batches of the Fusil de cerojo Modelo 1891. These were followed in 1909 by quantities of the Fusil de cerojo Modelo 1909 – a Mauser commercial product – and the existing stocks of the Modelo 1891 were brought up Modelo 1909 standards. Following the Great War, which disrupted normal supplies from Germany, Peru turned to Belgium and to Czechoslovakia for small arms, acquiring Model 1924 Mauser carbine from FN Herstal and ZB Brno as the Fusil de cerojo Modelo 1924. During the conflicts of the early 1930s the Ejército del Perú acquired a variety of Mauser rifles on the open European market, some of which were war surplus weapons reconditioned in Liege workshops. In 1936 the Government established the Fabrica de Armas y Municiones del Ejército (Army Weapons and Ammunition Factory) at Lima, where the manufacture of small arms for the needs of the Peruvian military is undertaken with the assistance of Belgian and Czech technicians. The FN Herstal Model 1935 short rifle was adopted as the Fusil de cerojo Modelo 1935 and it is now the standard service rifle of the Ejército. Earlier Mauser variants have been returned to mobilization stocks, though some remain in the hands of the reserve troops of the Ejercito de Milicia. Peru received its first light automatic weapons via open market purchases in Europe during the Andean War. Small quantities of German MP 36 machine pistols and Czech ZK-383 submachineguns were acquired and demonstrated the value of this type of weapon for close combat. In 1940 a quantity of Moschetto Automatico Beretta Modello 1938 machine pistols was acquired for test and evaluation; having been favorably received, negotiations were undertaken to acquire a manufacturing license for the weapon as the Carabina automatica Modelo 1938, chambered for the 9x19mm Parabellum cartridge. Local production is undertaken by the Fabrica de Armas y Municiones del Ejército. The first machineguns acquired by the Ejército were a small quantity of Hotchkiss commercial type; orders had been placed for a larger number of guns in 1913 but the outbreak of the Great War disrupted supplies, with any weapons not yet shipped being requisitioned by the French Government for its own war effort. During the early 1920s Peru obtained small batches of ex-German MG08 heavy machineguns from private arms dealers as well as somewhat larger numbers of the ubiquitous Lewis light machinegun; both types of weapons had been re-chambered for the standard Peruvian 7.65x53mm cartridge. In 1928 trials were held, the outcome of which was the adoption of the Czech-designed ZB-26 was as the Ametralladora ligera Modelo 1926; some numbers were obtained from the Brno factory prior to the outbreak of the Andean War. The exigencies of the hostilities saw Peru acquiring, by direct and indirect means, a variety of American and European-manufactured machineguns, most in small numbers. These have since been phased out of service or passed to the National Police. With the establishment of the Fabrica de Armas y Municiones del Ejército in 1936, Československá zbrojovka of Brno was approached and a manufacturing license was acquired for its ZB-30 light machinegun. This was taken into Peruvian service as the Ametralladora ligera Modelo 1930. It presently serves as the Ejército’s standard squad automatic weapon. The need for a sustained fire machinegun brought the Ejército to adopt the Czech designed ZB vz.60 as the Ametralladora pesada Modelo 1940. Initial supplies were obtained directly from the Brno factory but in 1943 the first locally-produced weapons were delivered to the Ejército. In addition to its use the Ametralladora pesada Modelo 1940 is also employed in an anti-aircraft role. 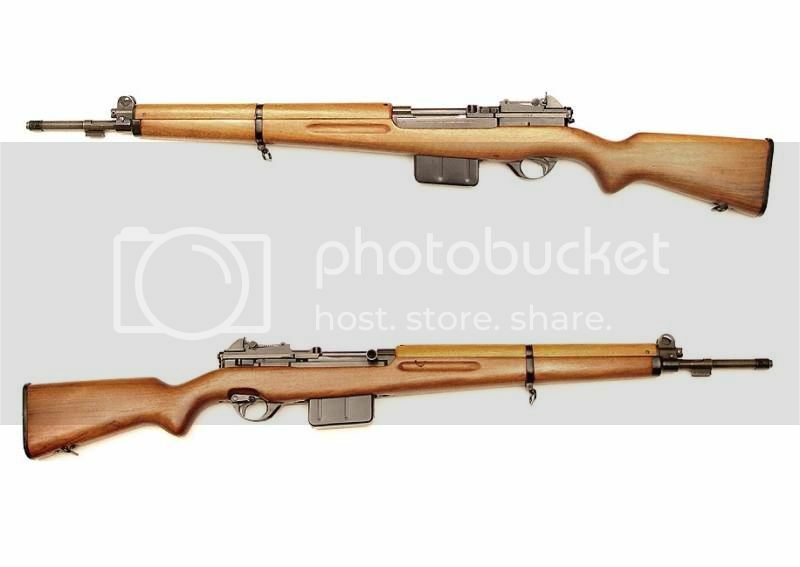 Late in 1946 the Ejercito placed orders with Fabrique Nationale de Herstal of Belgium for an initial quantity of ten thousand of its SLR40 self-loading infantry rifle. Its designer, Dieudonne Saive, had begun work on this weapon in 1936, and prototypes had appeared as early as 1937. The first field trials were held in 1938 and a modified weapon was subsequently adopted by the armies of Belgium, the Netherlands, and Kongo, among others. The first examples were delivered to the Ejercito in mid-1947, shortly after which the Ejercito placed orders for a second batch of ten thousand units. In early 1945 the Cuartel General of the Ejército directed the Fabrica de Armas y Municiones del Ejército to commence development of a new machine carbine for the armed forces. The FAME had considerable experience with the license manufacture of the Italian-designed Beretta Modelo 1938; an excellent weapon but one requiring extensive machining and high-quality materials, resulting in an expensive product. The design effort took as its starting point the German-designed MP-36, a weapon obtained in small numbers by the Infantería de Marina. Extensive use was made in the design of the Modelo 1948 of stamped-steel parts and the projected cost of the new weapon was estimated to be less than half of the Beretta. A prototype appeared in mid-1946 and offered for trials; while generally considered acceptable some design changes were requested. A second series of trials was held in February 1947 and the design fulfilled all the Ejército’s requirements. The first production weapons emerged from the factory late that year.